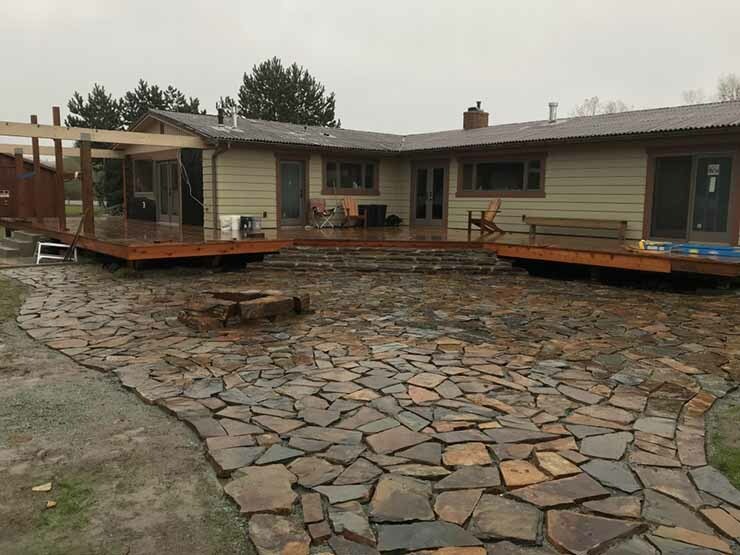 Fall 2017 we got the pleasure of working with a client who had chosen Montana Argolite for his large 1500 sq ft flagstone patio. 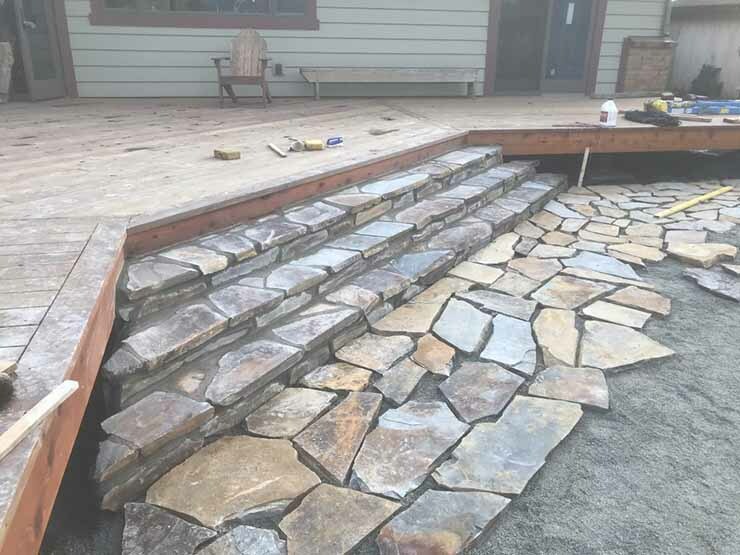 We used the natural stone for a masonry veneer on stairs up to the deck, used large stackable rocks to construct a fire pit, and placed over 15 tons of lay down Montana argolite flagstone. Lots of stone!! !